Realizing his explosions no longer affect Natsu, Jackal assumes his demonic true form, but Natsu quickly defeats him. Jackal self-destructs in a final effort to kill the wizards, but Happy carries him above the city before he explodes, barely escaping the blast himself. 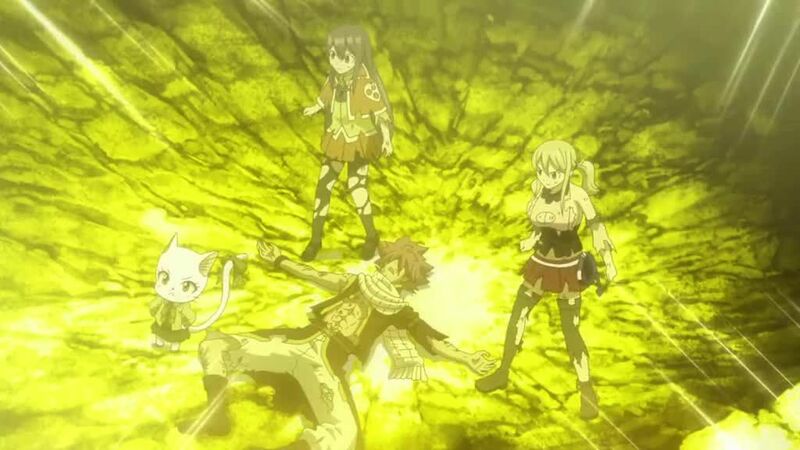 Later, Fairy Tail’s other teams find that their assigned council members have already been killed. Elfman and Lisanna encounter Seilah of the Nine Demon Gates, who takes control of Elfman’s body to strangle Lisanna. Makarov interrogates Michello, who tells them that Face is a pulse bomb used by the Magic Council to eradicate all magic on the continent, leaving humans defenseless against Tartaros, who perform curses instead of magic. According to Michello, Face is sealed by three former council members whose identities are known only by the original chairman, whom Erza and Mirajane are dispatched to protect. 5 / 5 - 87 ratings.